Laid down, 31 October 1944, at Bethlehem-Hingham Shipbuilding Co., Baltimore, MD. 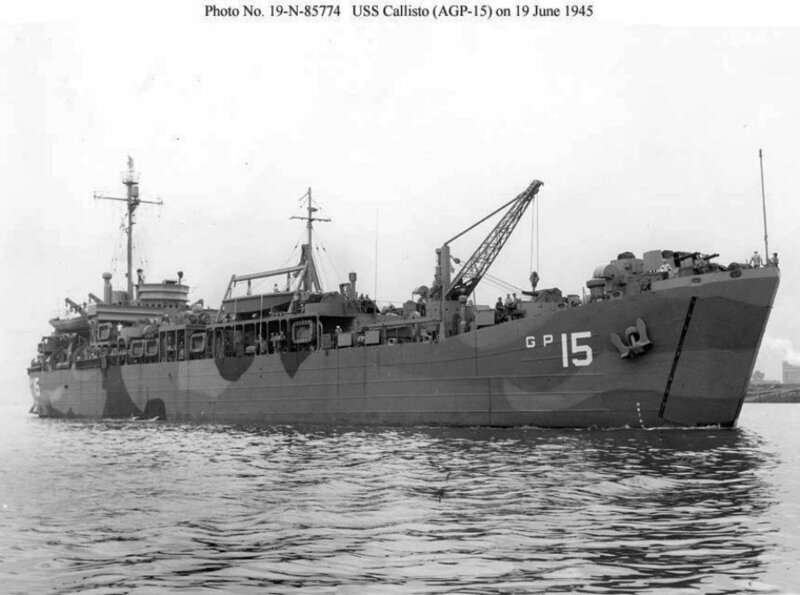 Commissioned in full USS Callisto (AGP-15), 12 June 1945, LCDR. Charles W. Brooks, USNR, in command. three Diesel-drive 100Kw 120V.240V D.C.
97k USS Callisto (AGP-15) underway in Chesapeake Bay off Port Covington, Baltimore, MD., 19 June 1945, just after completion of conversion. This ship had one "A" frame hoist, to port.